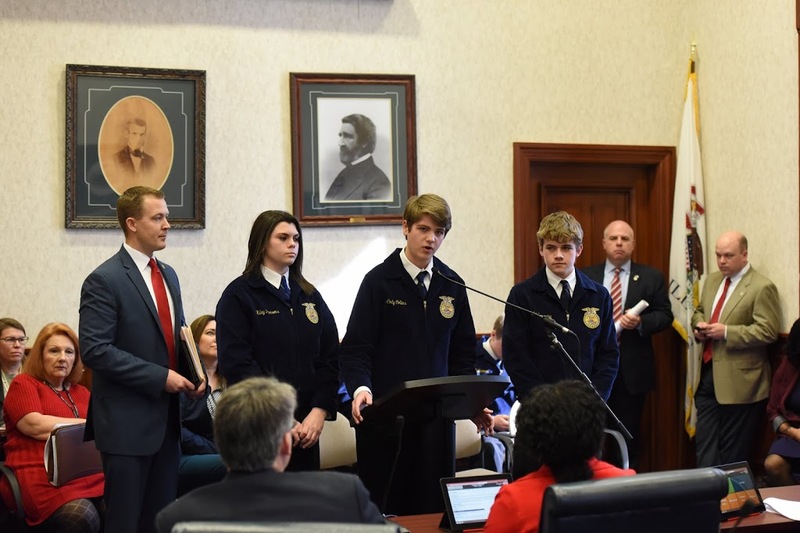 Pittsfield FFA & Agriculture Leadership Students present House Bill 470 in the House Agriculture and Conservation Committee. HB 470 creates corn as the state grain and passed out of committee on a vote of 15-0. Pictured Left to Right: Rep Davidsmeyer, Riley Parsons, Cody Collins, John Scranton.